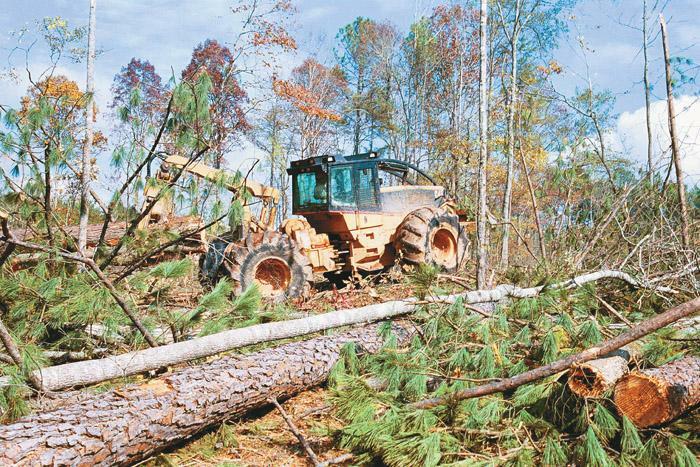 Southern Loggin’ Times’ April issue spotlights North Carolina’s Chip Capp, who runs a diversified operation with two logging crews and a trucking side, and still has time for industry activism. 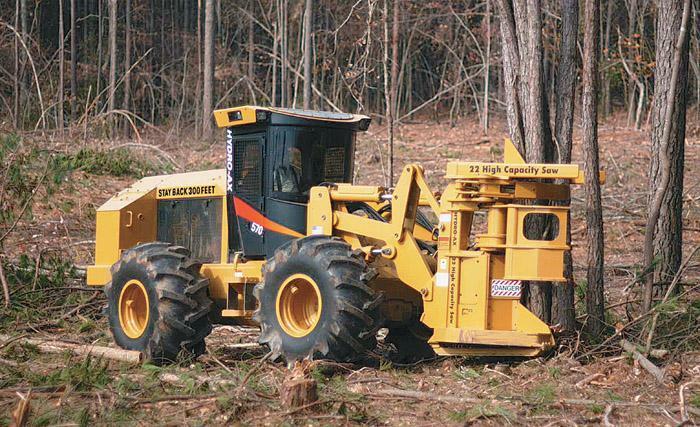 Also featured are Mississippi’s CST Timber Co., owned by Alan Priest, whose mission is to make the most out of the land, and Mississippi’s Fred Netterville Lumber Co., which is the crown jewel in this family enterprise. 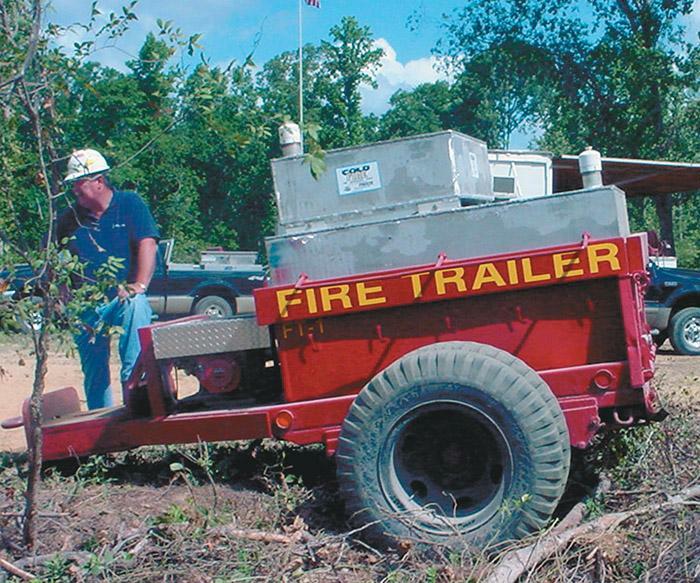 Georgia’s Allen Hawkins is highlighted for being selected as the 2002 GFA Logger of the Year, since he thrives with a faithful crew and a longstanding relationship with G-P. An article discusses NC’s Terry Rivenbark, who seeks to defeat equipment fires and high insurance premiums with his fire wagons. Land stewardship is second nature to Alan Priest. 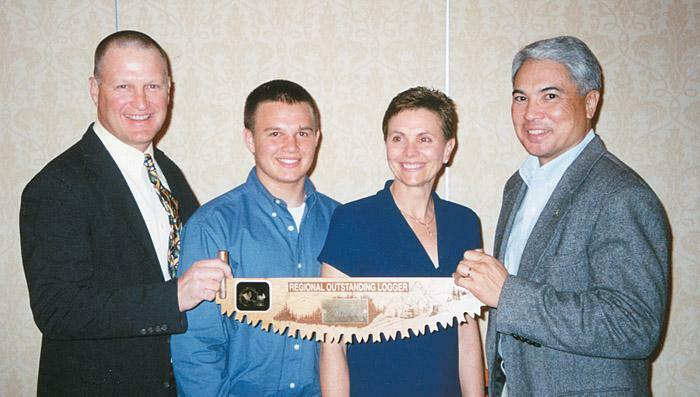 As owner of CST Timber Co., he understands the mechanics of logging, the theory of regeneration behind harvesting and the financial roller-coaster ride that carries it all. Also a land buyer, he seeks tracts that can be cut and replanted for future generations or developed for residential or commercial use. 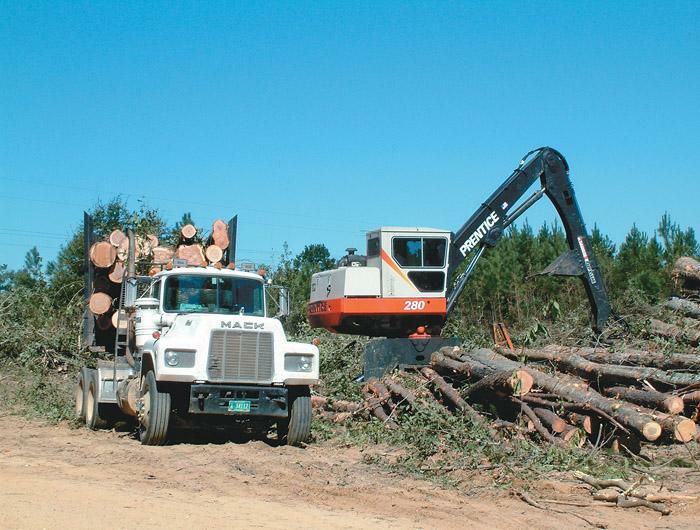 As with almost any other logging operation, Allen Hawkins’ crew gets Thanksgiving Day off. They look forward to relaxing with family and friends and eating their share of the abundance of food typically associated with the holiday. That’s where the similarity to a “normal” Thanksgiving ends. On the Wednesday before the holiday, the crew generally joins Hawkins Logging and Timber Co., LLC head Allen Hawkins at an old homestead site to enjoy a meal with plenty of turkey. Improving to survive. That’s been the business philosophy of Charlie Netterville, third generation in the Netterville lumber business and co-owner of Fred Netterville Lumber Co. He picked up that philosophy from his dad, the late Fred Netterville. 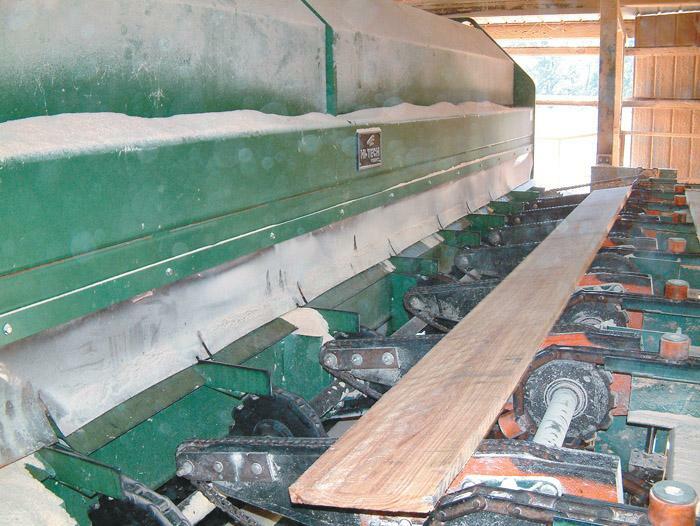 This point of view has proven itself as expansion and upgrades have helped to list the south Mississippi hardwood mill as one of the top hardwood lumber producers in the U.S. at 25MMBF annually. Unless you have been living under a rock or in a cave, you know the story. Mills are closing, regulations are getting tighter and production is shifting to foreign countries. We have more limited access to fiber, a high dollar value compared to other world currencies and we face many international trade barriers. Loggers and forest products companies that remain in business are just keeping their heads above water. All through the spring of 1904 I organized crews of men with pike poles and peaveys to go along the river and roll logs from behind rocks and shoals back into the current so that when the floods came they would float out. This occurred best during what we called “head rise.” That is to say, the main body of the flood was on the head of the river so that the front of the flood was practically its highest point, and when it got down to the boom the logs were brought with it. Today we mourn the passing of an old friend, by the name of “Common Sense.” Common Sense lived a long life but died in the U.S. from heart failure on the brink of the new millennium. No one really knows how old he was, since his birth records were long ago lost in bureaucratic red tape. He selflessly devoted his life to service in schools, hospitals, homes, factories, helping folks get jobs done without fanfare and foolishness. Cold, gusty winds and rain showers impaired opening-day attendance at the Oregon Logging Conference (OLC) here in February but attendance improved on the second day. 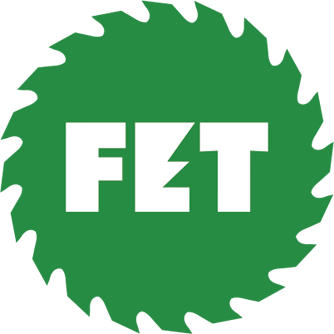 Loggers from around the region made the trek to the Lane County Fairgrounds for three days of educational seminars and the latest in logging equipment, technology and related services. The manufacturing-marketing alliance announced by Blount and Caterpillar on March 11 sent ripples (some dealers probably would choose the word “waves”) through a logging equipment community still trying to fully right itself following previous manufacturer-driven developments affecting dealers and customers. 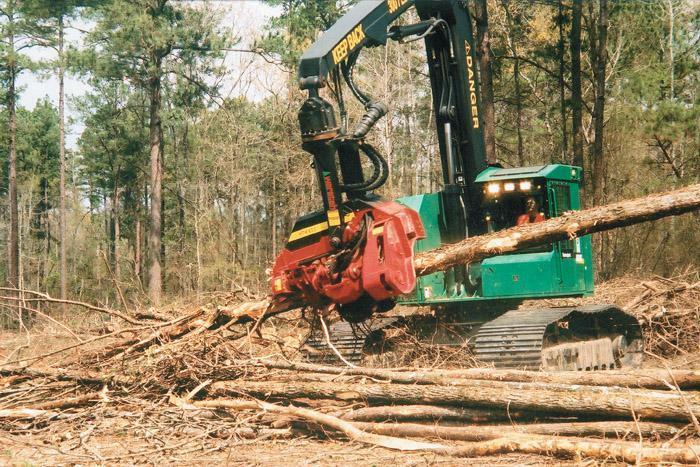 John Deere/Timberjack rolled out its “Timberjack in the Woods-2003” program in Shreveport, La. 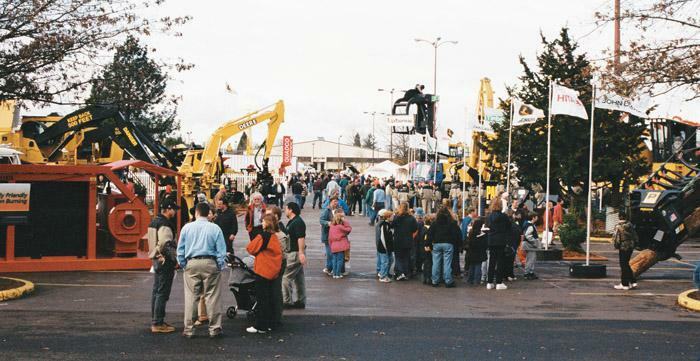 March 21-22 with a strong lineup of upgraded machines and outstanding dealer and customer participation. Combined manufacturer, dealer and customer attendance nudged 800, a record. At least eight John Deere corporate executives were on hand. It was the largest turnout since the company launched the promotional campaign in 2000 in El Dorado, Ark. Riley offers a loader trailer and delimber package or LTD Series. The LTD package provides users with the Riley 2800B delimber featuring forward and reverse knives mounted on a Riley built loader trailer with all the necessary plumbing to attach the loader to the trailer (steel tubing to the loader base). 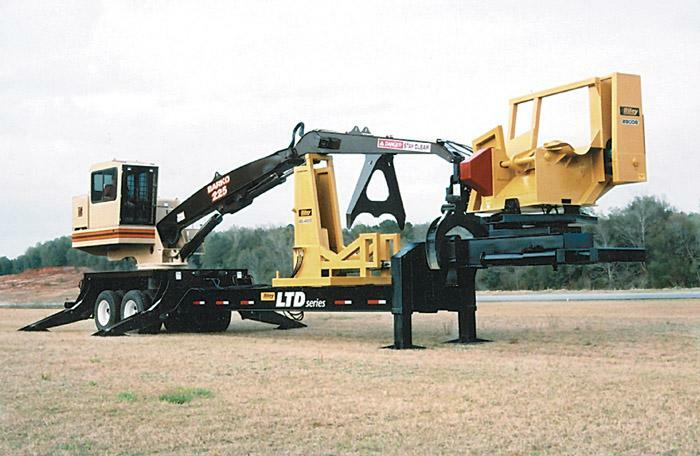 The unit features a heavy duty grapple grip and can be ordered with or without hydraulic landing gear.